The LA-based nail artist dresses like Barbie, eats from Barbie plates and even sleeps in a Barbie bed. Azusa Sakamoto became a Barbie girl the same year Aqua released its single of the same name. But it wasn't the song that prompted the nail artist's fandom; it was a Barbie lunchbox she bought at an import goods store when she was 15. "I was born and raised in Japan and didn't have Barbie when I was little," she said, adding that the doll's "cool, American pop culture" vibe made Barbie "more than just a toy" to her. 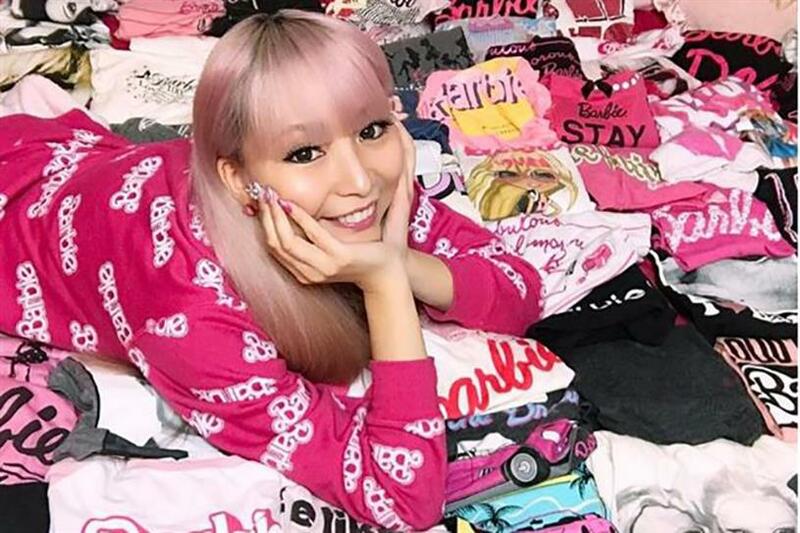 Sakamoto, who's spent $70,000 on Barbie memorabilia and conventions, has gained global attention for her obsession. Good Housekeeping, Hello Giggles and the Daily Mail and have taken notice. Here's her story. Why do you love Barbie so much? To be honest, I just love it naturally, and there's no reason. However, I would say that I love her style, attitude, world and design. How do you show your love for Barbie every day? I wake up in Barbie pjs in my Barbie room. I have pink smoothies in my Barbie cup for breakfast. I dress in my Barbie shirt and grab Barbie purse. I mean, most things in my room is something about Barbie. I share those pictures on social networks and my blog every day. What's the craziest thing you've ever done in the name of Barbie? I flew to Taiwan just to visit the Barbie Cafe there about two years ago. That's the only reason I went. I don't really do anything with Mattel. I just buy stuff and enjoy myself. It's just between me and Barbie. But they did share my Barbie nail picture on Barbie's Facebook page four years ago. All Japanese or Asian Barbie dolls don't look like me, so I would like them to make Japanese Barbie look like my face. Also, Mattel should make more stuff for adults. Barbie's not only for kids. Is there anything you own that's not Barbie branded? Only my Hello Kitty calculator is not Barbie. What other brands besides Barbie do you enjoy? For fashion, I like some of other brands which have collaborated with Barbie before, like Moschino, Wildfox, Juicy Couture, Charlotte Olympia, Kate Spade, etc.